Disclaimer : Some of the links on this post are affiliate links means I may earn some commission at no extra cost to you but will help me in recovering some of the costs of running this website. Read full disclosure here. 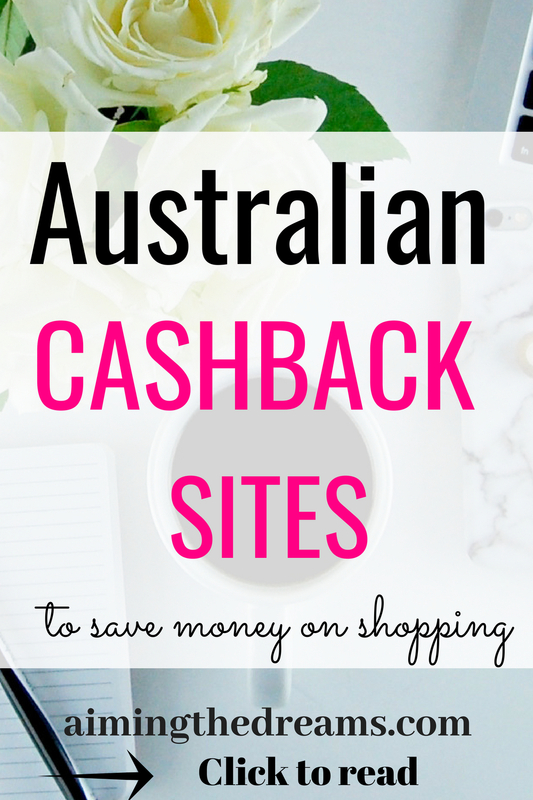 There are some cashback sites and apps in Australia to save money on your shopping. It feels so good to pocket free money right. So here comes the magic of cash back sites. These sites and apps will not make you rich but few dollars here and few dollars there will add up to a good amount of money. I am a very big fan of small savings. I just love the thrill of saving something while that money could have gone. There are so many sites in America to use. But we Australians don’t have that much options to choose from. But fortunately we have few cashback sites now which we can use to get cash back from shopping sites. These sites and apps work on the referral system. They refer customers to retailers and in return retailers pay them commission. When you buy through these cashback sites and apps, they pay back some money from their commission. You can find almost every kind of retailer listed there. Website is easy to navigate easy to navigate and has a very attractive homepage. Here are some of the retailers listed on website. This one is my absolute favorite. Cashrewards has a good list of clothing stores such as Asos, Ray ban, the iconic, Ally fashion, Myer, Cotton & co, Bonds, adorne and many more to choose from. Matrley spoon, Hello fresh, foodora, Menulog, Taste buds, Boozebud, adrenaline, andagio teas, bockers & pony , BWS, Dan Murphy, Naturally sweet and many more. Adairs, adrift, amazon, ebay, aliexpress, Bedding inn, Bed Bat n table, Betta home living, cookware branfs and many more to choose from. Acor hotels, airlines and flights, airbnb, All clear travel insurance, aloft hotels, amara hotels, anantara hotels – resorts- spas, Angus & Robertson bookworld, amazon.com.au, Avani hotels & resorts etc. There are more options. Read here to check your self and plan your holidays. Ali baba cloud, Alienware , amaysim, Ali express, Appliances online , BuyMac.com.au, autodesk and the list is long. There are many more categories where you can make purchase and get cashback. Cashrewards always have some great deals and coupons to use while shopping on specific brands. Featured offers make it easy to pick the offers if you are interested in making a purchase and save some money. Not only this, but cashrewards have one of the very lucrative refer a friend program. You can refer your friend and increase your earnings. You get paid when somebody signs up through your link and makes a purchase. It is a win win situation for both the friends. enjoy your shopping with cashrewards and save money. Shopback is here in Australia. It is a Singapore based company which has started its operations here in Australia. It is also a cashback site and one thing to note is that it also has app. Cash rewards doesn’t have an app yet but shopback has got an app. ASOS, The iconic, Davis jones, Nile, Cotton on Sephora, Cotton on, Princess poly, Forever new, guess, espirit, and lot more. AliExpress, ebay, Etsy, Luxo Living, spotlight, Kikki. K, freedom , Zanui, BROSA and many more stores to choose from and make a beautiful purchase. Check your self the stores available from which you can choose your favorites having deal. Sign up and start saving money on your shopping. One more addition to cashback sites where Australians can earn some money back is Cashback club. This site also has leading stores in its list of stores. It has got minimal and easy to navigate interface. Categories are shown on home page and it has got Shopping , fashion, insurance, real estate, home loans and many more categories. asos, Marks & Spencer, Surf stitch, graysonline, Review, kathmandu, Ennia lingerie Australia, Beginning Boutique and many more stores to give you enjoyable shopping expeience. Appliances online Australia, zanui.com.au, Each buyer, Wayfair Australia, LivingStyles.com.au, etc. Check your self Check your self to see more retailers listed. Expedia, BYOjet, Living Social, Travel factory, Hotels.com, AVIS Australia, Budget car & truck rentals, Sea world resorts, UNA hotels and many more. Cashback club acts as agent if you go through this site for your insurance and it will give you some cash back from its agent commission. So you don’t need to change the policy, cashback acts as your new agent. And it will pay you some cashback. Travel insurance : Expedia, Priceline Pharmacy ( it has new deals on travel insurance ), travel factory, worldcare travel insurance and many more. 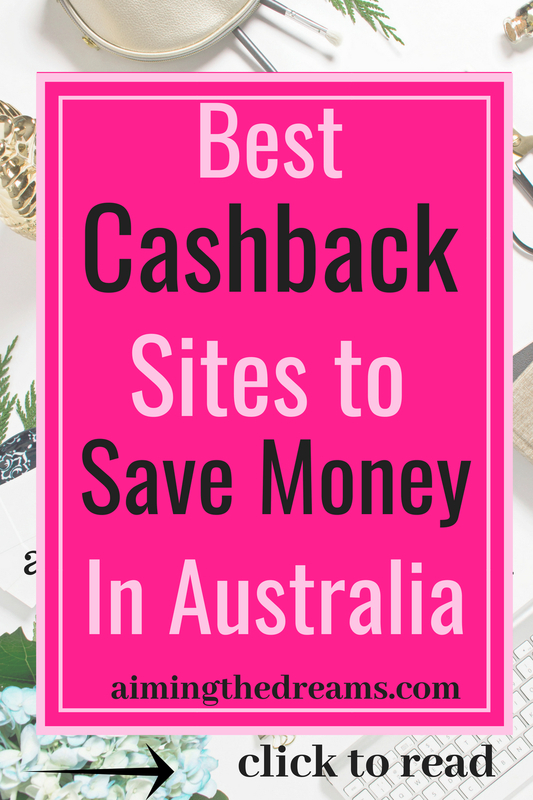 These are the cashback sites which have good deals for Australians to save some money on purchases. Shopping becomes fun when you get some money back.